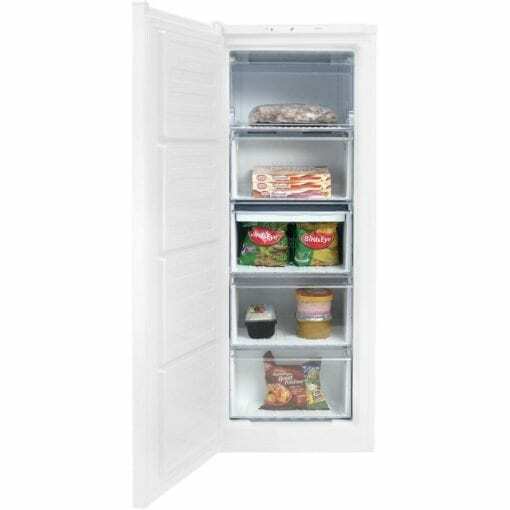 This white frost free freezer is the perfect addition to a family home, and comes with one year’s warranty to keep your mind at rest. Its tall design gives you all the storage space you need, and Freezer Guard technology means it will work perfectly in a cold location – ideal if you want to keep it in the garage. With an A+ energy rating, it will reduce your energy consumption, helping you to save money and protect the environment. 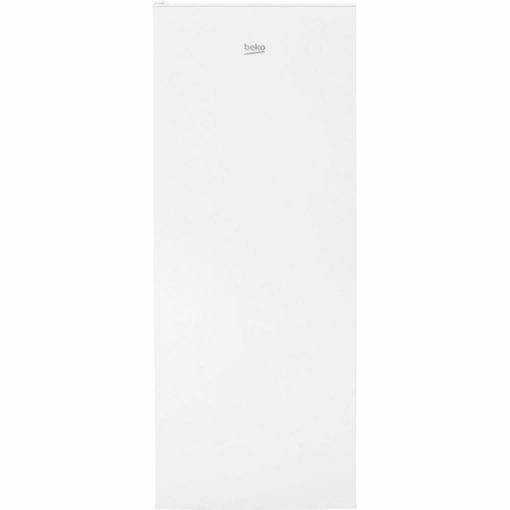 With a net capacity of 168 litres, divided into four clear drawers and one shelf with a drop down flap, this Beko tall freezer provides plenty of storage space for your weekly shop. There’s an ice bank tray so a refreshing cold drink is always at hand, and a fast freeze function to lock nutrients into fruit and veg. It’s a four star model, for maximum flexibility with your storage. That means it’s cold enough to freeze fresh items and store frozen food for 3 to 12 months. 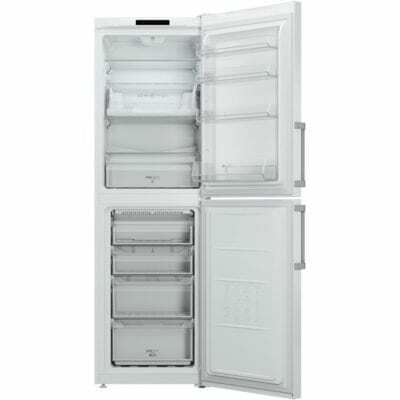 The FCFM1545W has Beko’s amazing Freezer Guard technology. It works in sub-zero temperatures as low as -15°c, making it the perfect freezer for keeping in your garage, utility room or outbuilding. 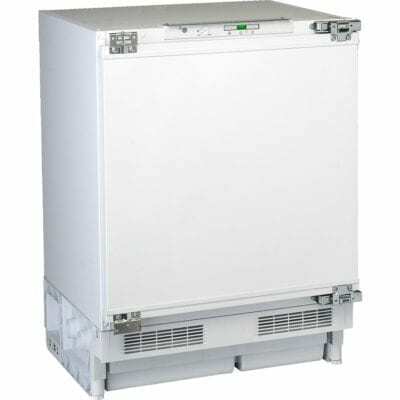 While lesser models suffer compressor failures below 0°c, this tall freezer will still function perfectly. You’ll have the freedom to keep it anywhere – whether that’s in your kitchen as your main freezer, or elsewhere for a little extra storage space. Forget about defrosting your freezer. The frost free feature prevents ice building up, saving you time and hassle. There’s also a high temperature warning light. This simple little feature will let you know if there’s a problem, before your food gets spoiled. This is a freestanding model. 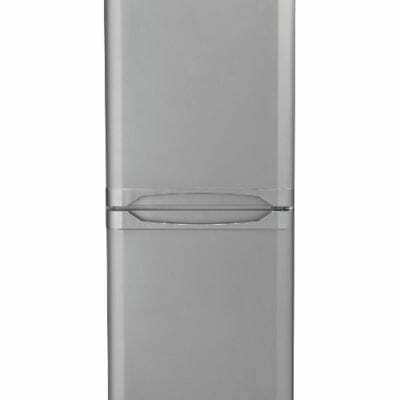 While its tall design provides plenty of room for your food, the freezer measures just 54.5 cm wide. There’s also a reversible door, so you shouldn’t have any problem fitting it into your kitchen or garage.